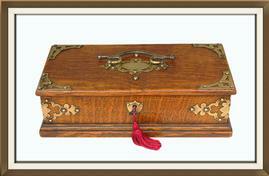 This is a beautiful antique jewellery box, sturdily made from solid oak. 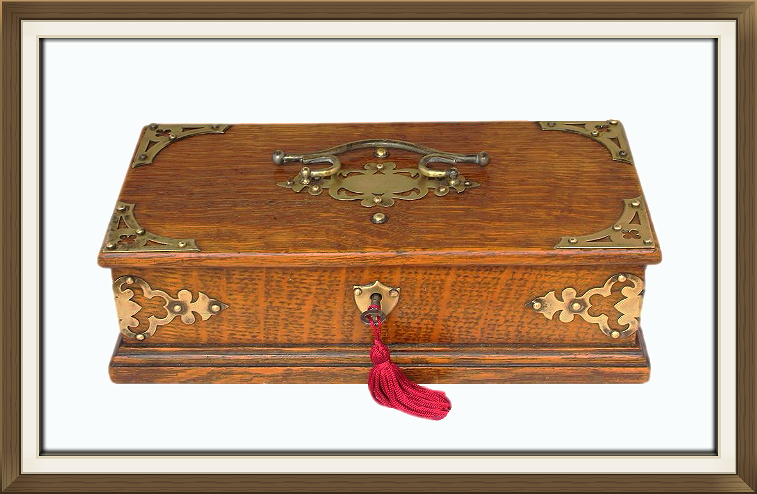 It has beautiful ornamental, solid brass decoration, and a superb shaped solid brass handle. The oak to the front has been quarter sawn. This is a special technique of cutting, used to show off the wonderful 'medullary rays' in the wood. 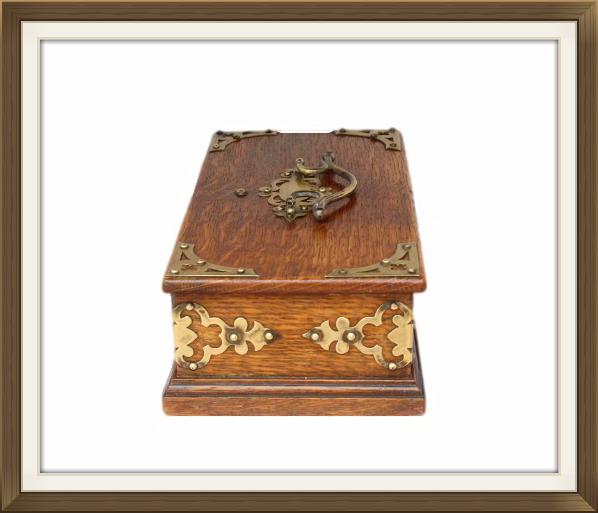 The brass work is on all four sides of the box, as well as the lid. 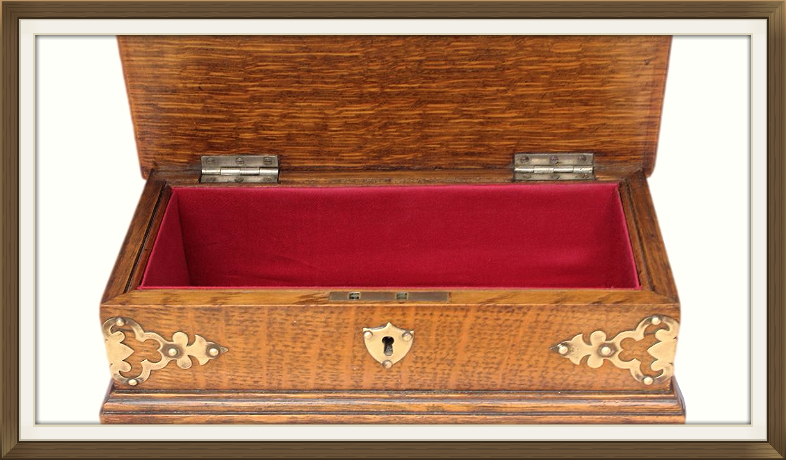 The box is complete with its original key, brass lock, and brass stop hinges. These prevent the lid from falling back. The interior compartment has been beautifully relined by our wonderful skilled restorer. There is a new padded satin panel to the bottom and the walls are lined with matching satin. The satin is a beautiful 'raspberry' shade. This decorative box is in excellent condition. It is structurally sound and free from damage. The interior linings are perfect, being new. The lock is temperamental on occasion and can require a little fiddling. Once locked it is very secure. 21.0 by 8.0cm with a 5.8cm depth.